Recently, my housemates and I found ourselves in a situation where we had a lot of broccoli that was going to go bad soon. We needed a way to eat it, but eating a big bowl of broccoli isn’t necessarily what I call a satisfying meal. I decided to try something, and to my surprise it turned out pretty well. 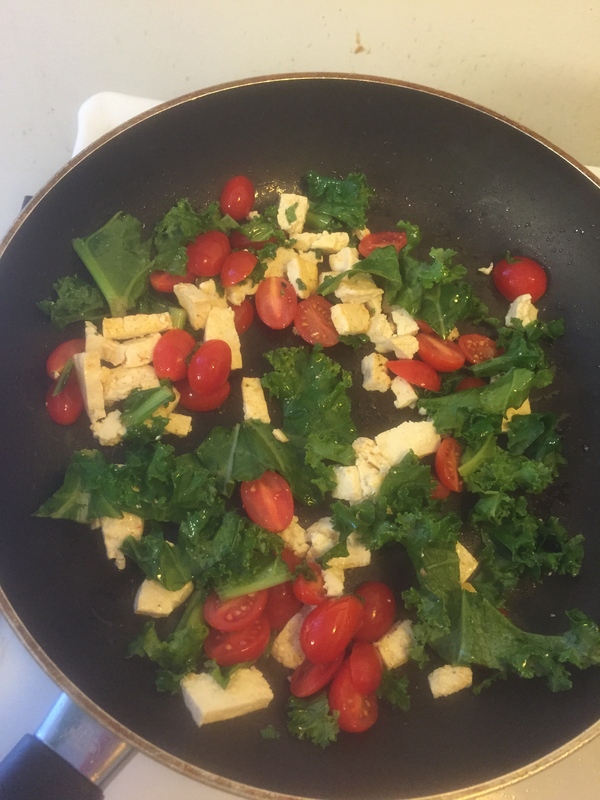 I sautéed some onions, added tofu, and lastly some kale and cherry tomato. While I was sautéing those, I steamed some broccoli. Once everything was finished cooking, I put it all in a bowl with some feta cheese, avocado, and balsamic vinaigrette dressing. I didn’t have the highest expectations for how it would taste, but it actually turned out pretty well, and I’ve made this dish a few times. It’s great because it very healthy, but still has some flavor to it with the avocado, feta, and dressing. It’s also warm, so if you’re like me and you prefer to eat warm dinners, this is great because you also get the light feeling of a salad while still getting a warm meal.